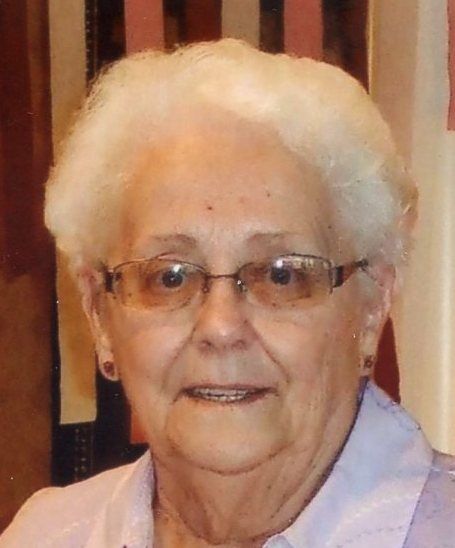 Rosalie Dorothy “Dottie” Dosmann, 88, of Mishawaka, passed away Tuesday, April 9, 2019 at The Hearth at Juday Creek with family at her side. Dottie was born August 9, 1930 in Mishawaka, a daughter of the late Leonard and Rosalie (Huemmer) Chamberlin. She grew up in Mishawaka and was a graduate of Mishawaka High School. For the last 9 years, she lived at the Hearth at Juday Creek, Granger. Dottie married Charles “Chuck” Dosmann on August 26, 1950, and the couple made Mishawaka their home. In 1971, Dottie and Chuck founded Dec-O-Art in Mishawaka. The business was built on the belief that “this business is God’s gift to us and our work is our gift to God.” The company later moved to Elkhart and is run by her family today. Dottie was a long-time member of St. Joseph Catholic Church in Mishawaka and their Rosary Society. In recent years, she belonged to St. Pius X Catholic Church in Granger. At one time, she was a member of the Elks. Dottie enjoyed golfing and played on the St. Joseph Golf League for many years. She liked all kinds of art and particularly enjoyed painting. Dottie and Chuck enjoyed wintering in Palmetto, Florida for many years. Dottie was preceded in death by her husband of 59 years, Chuck; six brothers, Charles, Jack, William, Robert, Kenny, and Frank Chamberlin; and one grandchild. Dottie’s surviving family includes nine children, Daniel (Rebecca) Dosmann of Mishawaka, Beth Ann (David) Schwier of Mishawaka, Anthony (Marcia) Dosmann of Mishawaka, Carol (Dean) Dutoi of Missouri, Carl (Kathy) Dosmann of Dowagiac, Andrew (Patty) Dosmann of Granger, Frederick (Margaret) Dosmann of Mishawaka, Ronald (Cathy) Dosmann of Mishawaka, and Maria (Brad) Hunt of Granger; her sister, Mary Velleman; two brothers, Paul (Barbara) Chamberlin and Joseph (Betty) Chamberlin; 22 grandchildren; and 43 great- grandchildren. Two additional great-grandchildren are expected in the next few months. Mass of Christian Burial will be celebrated at 11 am on Saturday, April 13, in St. Joseph Catholic Church, 225 S. Mill Street, Mishawaka. Cremation will follow with burial at a later date in Fairview Cemetery, Mishawaka. Visitation will be from 4 – 8 pm on Friday in Goethals & Wells Funeral Home, 503 W. 3rd Street, Mishawaka, where the Rosary will be prayed at 7:30 pm. In lieu of flowers, memorials are suggested to Ronald McDonald House Charities Michiana or St. Jude Children’s Research Hospital. The family wishes to thank the Hearth at Juday Creek and Heart to Heart Hospice for the care they provided for Mom especially during her final days.